Want to make full use of your visit and explore all that Canada has to offer? Here at Trapline Adventures, we’ve partnered with the best hotels and local tour operators to bring you once-in-a-lifetime experiences at very special rates. These extended Canadian vacation packages are only available as add-ons to either our 5-Day Trapping & Hunting Tour or 7-Day Trapping & Hunting Expedition. 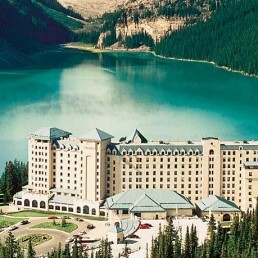 5 nights’ accommodation at Fairmont Chateau Lake Louise, plus: Johnston Canyon ice walk, private ski/snowboard lessons at Lake Louise, helicopter/dogsled tour, sleigh ride, hot springs visit. 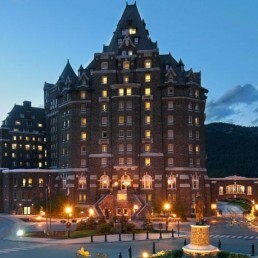 7 nights at Fairmont Jasper Park Lodge and Fairmont Banff Springs, plus: Athabasca Glacier Icewalks, Marmot Basin ski package, Maligne Canyon Ice Walk, Banff Adventures package. 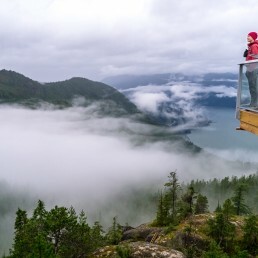 7 nights at the Fairmont Pacific Rim and Fairmont Chateau Whistler, plus: Stanley Park, The Vancouver Aquarium, Museum of Vancouver and Vancouver Brewery tour, Sea to Sky Gondola ride, ski/snowboard Whistler, Whistler helicopter tour. 3 nights at the Fairmont Pacific Rim, plus: Stanley Park, The Vancouver Aquarium, Museum of Vancouver and Vancouver Brewery tour. © 2018 Trapline Adventures. All rights reserved.